Ray and Hannah, along with their 3 children David and Kate who are six and Jonathan who is 4, are a loved family of FlameTree. 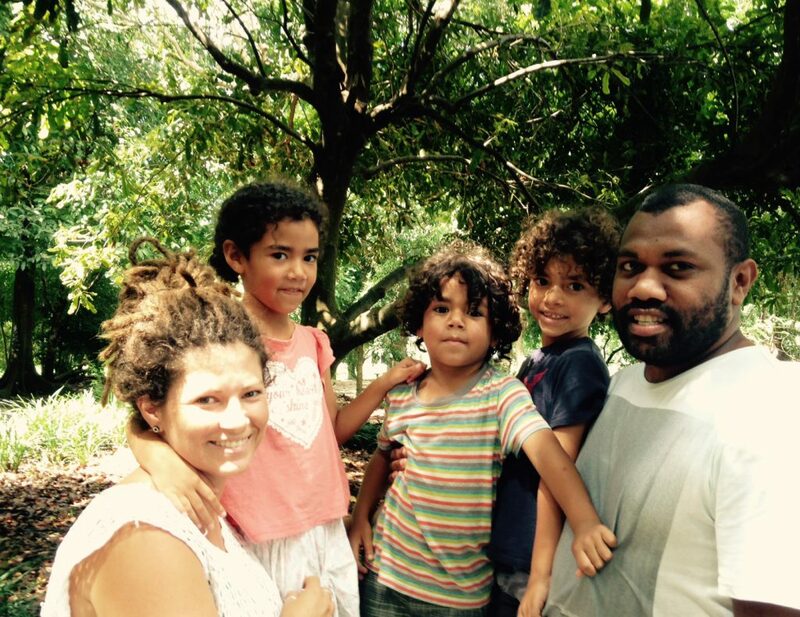 Over the last 5 years they have felt God calling them back to Vanuatu (Ray’s country of birth). In the last 18 months, they have felt very strongly that it was supposed to be this year 2018 and have had that confirmed multiple times . They are going in late April, for an indefinite period of time. The area where they are moving to is a village of around 400-500 people where Ray spent a lot of time growing up, with lots of family aunts uncles etc. so they have a very strong relationship and local knowledge . There are no rentals available in the village, and as Ray’s brother has offered them a block of land to use, their plan is to build a house and 2 bungalows . The house will house their family and also be used as a house of prayer and ministry. The bungalows will be rented to fund the mission, and support them, as they would love to be able to completely support themselves with the capability in the future of funding other local missionaries and much needed medical and education supplies to outer islands . They are also planning on a strong agricultural side in business as well, with plenty of extremely fertile land available. They are looking into local partnerships to set up infrastructure which would provide much needed work for locals, as well as diversifying for their own source of income. As a family, their heart is to raise up to maturity missionaries and leaders through personal discipleship and facilitating training intensives on a regular basis. They have a heart to work with the local church, and the amazing people who have invested spiritually into them both and who God has connected them with, taking teams out to pray for people on the street and to minister the love of God to others. They believe the nation of Vanuatu has strong call to missions and that is what they feel called to go and sow into.